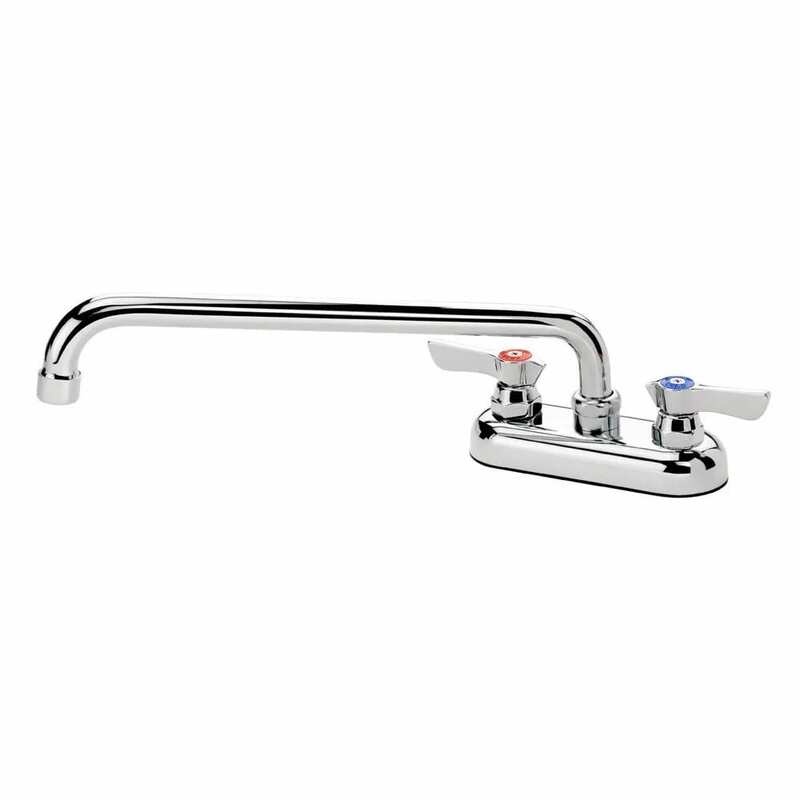 The Krowne 11-412L deck-mount faucet has a strong 12-inch spout. It is made to withstand high-volume use with its durable construction and welded shoulder. The hot and cold water handles are color-coded red and blue for quick identification. 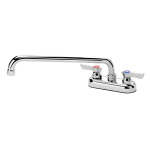 The faucet mounts on 4-inch centers, and a mounting kit is included. "I just ordered this item a few days ago and it has arrived already!" "As advertised and represented, very satisfied"